Over the years, prevention has become a strong pillar in the healthcare industry across the globe. Identification and minimization of disease risk factors, existing disease development/ improvement and early detection of disease through screening are a few important elements of preventive healthcare. It has become crucial as it allows people to know about their health issues in the initial days and helps keep track of the progress on a real-time basis. With technology at the core of healthcare development, preventive medical devices such as blood pressure monitor, blood glucose monitor, and body fat analyzer are high in demand owing to rising incidences of cardiovascular diseases, chronic respiratory disorders, diabetes, and obesity. Indians are becoming more conscious of their health risks and are proactively adopting preventive healthcare measures to avoid issues. Keeping a track of medical records is a tedious job and if the information is in multiple places, it is difficult to use. The task gets harder when working with several doctors to address several health concerns. Electronic Health Record (EHR), allows users to maintain their personal health records, past appointments, test results, prescriptions etc. and helps them keep a track of things. Many applications and online services are available to make the job of organizing this information easier. The Union Budget 2016-17 was focused on the Healthcare sector and it received benefits like new health protection scheme for health cover up-to 1 lakh per family. Senior citizens will get additional healthcare cover of Rs 30,000 under the new scheme. PM Jan Aushadhi Yojana to be strengthened, 300 generic drug store to be opened. These facilities will help both the rural and urban India to improve its healthcare system and boot it. Healthcare policies are a welcome necessary step and must expand to help in facilitating equitable health care to both rural and urban India. 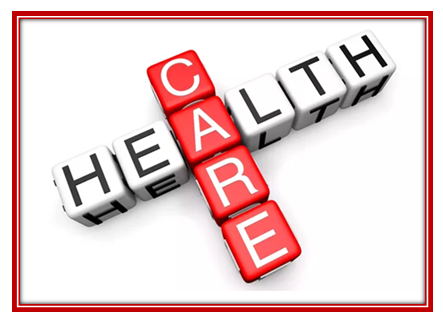 Healthcare covers not only medical care but also all aspects of preventive care as well. A versatile health insurance plan will help patients to get regular health care check-up, which is the vital part of preventive care. One of the key areas for preventive healthcare is cleanliness. Maintenance of the hygiene and cleanliness helps reduce the incidence of infections acquired in hospitals and healthcare centers. India lags behind in the field of sanitation and the unsanitary conditions need a great sanitary awakening. Govt. programs like Swachh Abhiyaan dedicated to providing recommendations for healthcare facilities to enable the hospital management to address various aspects of cleanliness and sanitation. Achieving equity in access to health care across rural and urban India requires overcoming several factors that challenge equity in service delivery, and equity in health financing and financial risk protection.